This was my final Leadership swap card. I used the balloon from the Crazy for Cupcakes set and stamped it three times. At first, I started masking them off as I stamped them but then realized I didn't need to do that because I was going to overlay them with stamped colored cardstock. 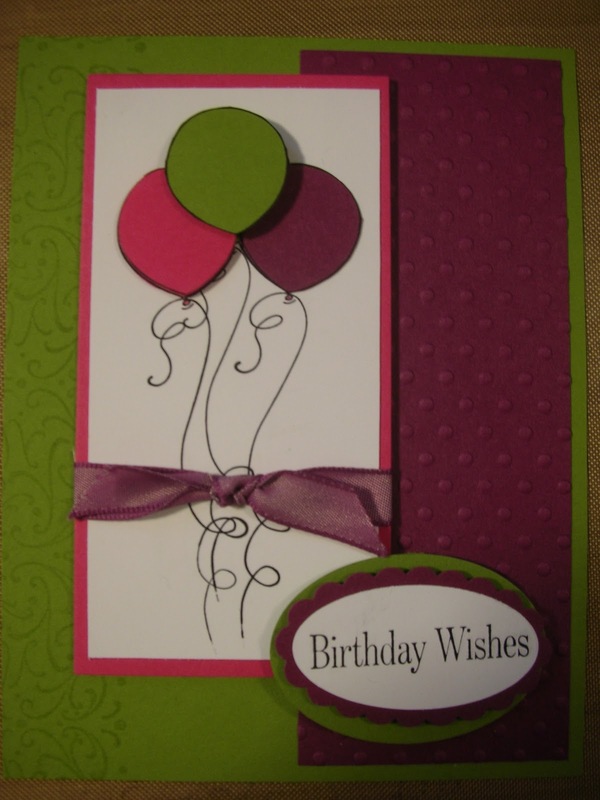 I thought it was a very versatile birthday card - good for all ages and genders!